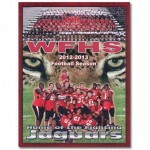 West Florida High School Football saddle-stitched program with laminated cover. 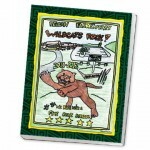 Snowball Derby saddle-stitched program with laminated cover. 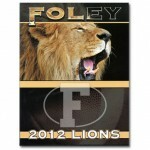 Foley High School Football perfect bound sports program with laminated cover. 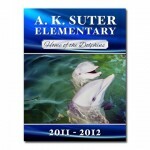 Beulah Elementary School perfect bound (soft cover) yearbook with laminated cover. 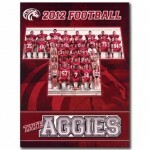 Tate High School Football saddle-stitched program with laminated cover.